Baking with cereal... those three words are music to my ears. After having several conversations about how much we both enjoy sugary cereals, my sister-in-law, Emily, bought a copy of the new Momofuku Milk Bar Cookbook for us to share. Have you not heard of Milk Bar? Well neither had I until I unwrapped their cookbook on Christmas morning. 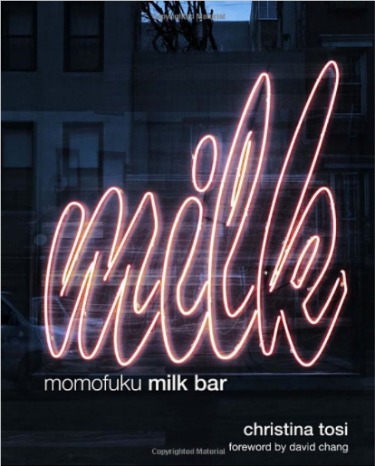 Here's a brief rundown for the uninitiated: Momofuku Milk Bar is the domain of desert mastermind Christina Tosi who for several years created fabulous deserts in the basement of the original Momofuku Noodle Bar location for Momo and its sister restaurants. 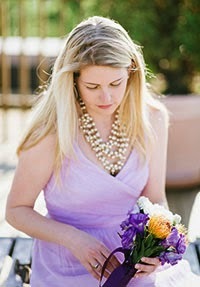 Baking with ingredients that range from the best sugary breakfast cereals to the unusual (think avocado or miso) she was soon given charge of her own bakery space cristened Milk Bar. 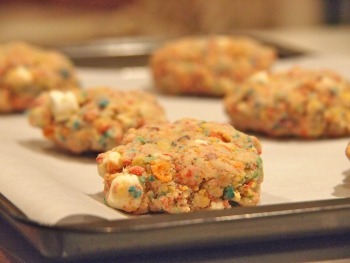 For my first foray into Milk Bar territory I decided to attempt the "Fruity Pebble Marshmallow Cookies." Fruity Pebbles are far and away my favorite sugary cereal sin. I was only ever allowed them on vacations so there's something illicit about making a cookie with them as an adult. 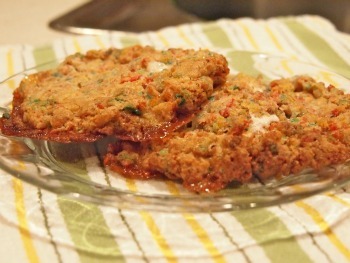 I feel confident in my cookie baking skills and while there are a lot of steps, including creating a toasted "crunch" with the fruity pebbles and creaming the butter and sugar for a full 10 minutes, it is a relatively simple recipe. The whole time I was making these I kept repeating "these are the best cookies in the world" and while some may challenge this I feel this is fairly accurate. They're pretty damn good! I highly recommend adding this book to your cookbook arsenal! I regret that I didn't have the energy to attempt baking while Emily was still down here in Florida. But don't worry, I'll freeze some for when she's back in January.